Cardiff is the capital of Wales and the highest populated county in Wales. It is located to the South of Wales on the banks of the River Taff. The area is made up of the city and a large urban area. The city centre is flat area surrounded by hills in every direction. 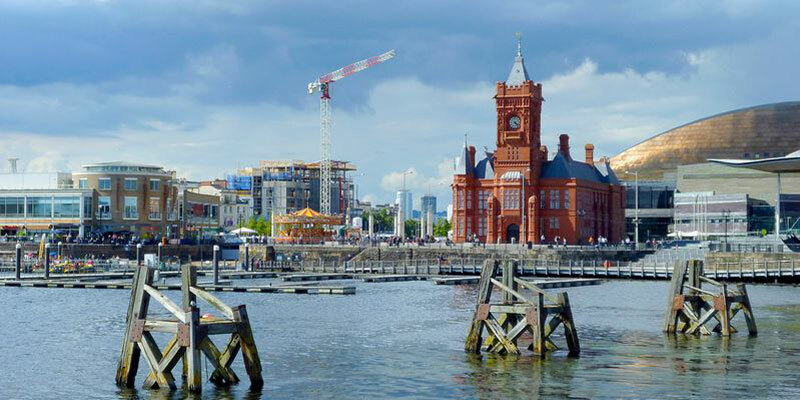 The area is rich in culture and heritage such as Cardiff Castle, the Millennium Stadium, and the Pierhead Building. The city of Cardiff is a large commercial centre and significant tourist centre and is the centre for cultural and sporting institutes in Wales. The city of Cardiff has many parkland areas, 10% of the city is parkland which are ideal for many different recreational activities. The Taff Trail, 55miles long, runs through many of the Cardiff’s parklands from Cardiff Bay to the Brecon in Brecon Beacons National Park. The Centenary walk, which runs for 2.3miles within the city centre, is ideal for tourist and ramblers to view some of Cardiff’s historic buildings and landmarks. In the area of Cardiff there are seaside towns such as Penarth, 5miles south of Cardiff city. Penarth is a splendid place to visit, with its acres of beautiful parks, cliff top walks and at the harbour a magnificent 450 berth yacht marina.